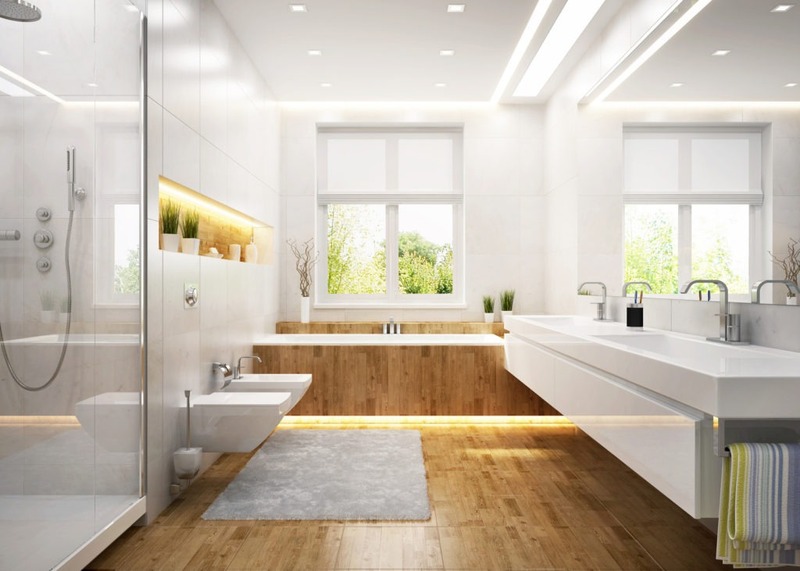 While a traditional style of bathroom can be absolutely stunning, there is simply no match for contemporary style when it comes to creating a sense of luxury. Whether you’re looking to spruce up an old powder room or give your master bath a full facelift, we’ve got the tips you need to turn your modern vision into a breathtaking reality. The most important part of planning any remodeling or redecorating project is identifying the kind of atmosphere you want to create. 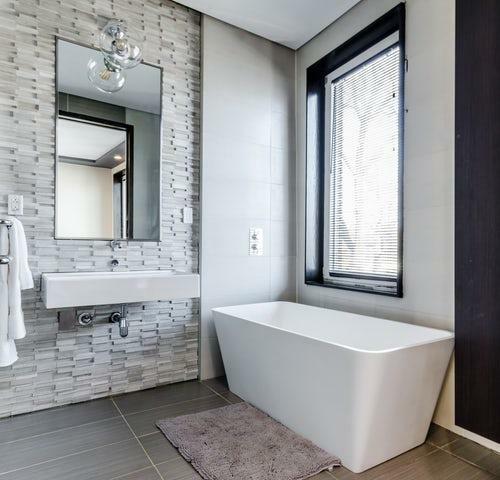 In the case of contemporary bathrooms, current trends are centered around a simple, minimalist design with a sort of urban-industrial-meets-rustic feel. Once you’ve really fleshed out the type of atmosphere you want to achieve, you can start obsessing over details like paint colors, faucet finishes and whether you want to put a window in the shower. As a style rooted in minimalism, the key is to choose colors and textures that create a nice aesthetic without overwhelming the room. Contemporary style is all about the practical, so the utilitarian purpose of the bathroom—bathing, grooming, etc.—should remain in clear focus. Common materials include brushed metals (especially stainless steel), exposed brick (or faux-brick veneers), natural stone tiles, concrete and glass—invoking an urban-industrial feel. Storage and décor are also kept simple—perhaps one or two small pieces of art and a no-frills upright cabinet in a chic espresso, black or white finish. As for paint, nearly any hue will work so long as it’s not too bold, pastel or traditional-looking. Before you make a decision, use a sample to paint a test patch. Then, step back and see how it feels. A popular contemporary trend is that of freestanding fixtures. By separating key elements into individual “stations,” you can eliminate excess countertop and cabinetry—and free up crucial space. For example: place your bathtub in the center of the room as a focal point. Keep a small number of bath accessories (e.g., shampoo, conditioner, loofah, razor) in a small caddy beside a simple towel rack and you’ll have everything you need, sans clutter. You can also create a chic vanity space with a pedestal sink, wall mirror (or medicine cabinet) and a small side table for everyday grooming essentials. Worried that your dated, damaged tub or shower will ruin your contemporary style goals? Don’t take a sledgehammer to the porcelain just yet! American Bath Enterprises, Inc. tub and shower surrounds are custom made to fit over your existing tub or shower perfectly with quick, straightforward installation. Choosing a surround also allows you to use your existing fixtures, no plumbing work required. Just purchased a new home that looks like it’s stuck in the 70’s? Give that outdated, yellowing corner stall a brand-new look with one of our full corner shower kits. You can even add accessories like corner shelves for a result that’s truly customized for your needs. Call (888) 228-4925 to learn how we can help you create the contemporary bathroom of your dreams!